The ETR101A is a complete Exhaust Temperature Profiling Kit designed to profile the exhaust temperature of on-road vehicles and off-road equipment, including tractor trailers, buses, trucks over 14,000 lbs., waste water vehicles, and sweepers. 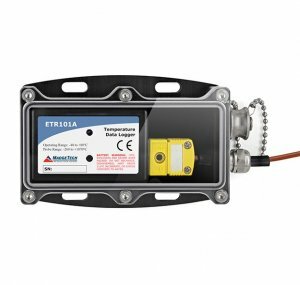 The ETR101A kit comes assembled and includes a data logger, temperature sensor (thermocouple type K), weatherproof enclosure, USB data logger interface cable (IFC200), hex screwdriver and software. Setup is fast and easy. 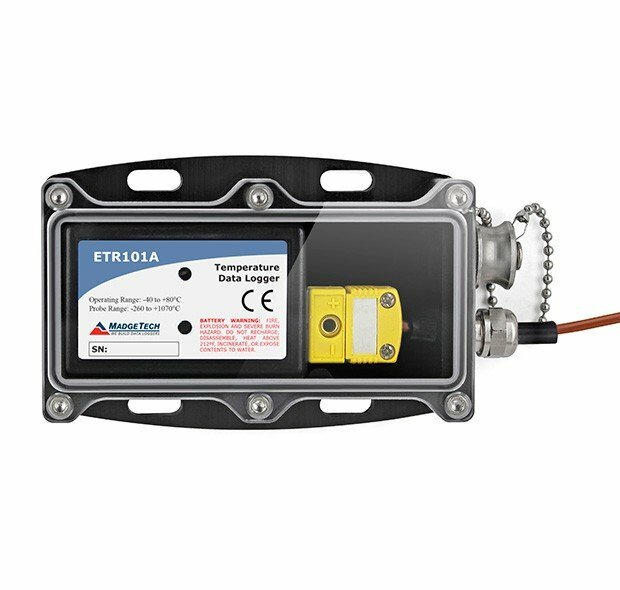 The data logger, which is contained within the water resistant enclosure, is mounted to the vehicle. Using the MadgeTech software, the logger is programmed to record for a set period, generally three to five days. Data is stored in the data logger, and is downloadable at any time via a pc or laptop computer. The complete temperature profile is then provided to the diesel particulate filter (DPF) manufacturer, aiding in the selection of the correct DPF for the exhaust system. Many DPF manufacturers, including Donaldson Corp., recommend the use of temperature profiling equipment, such as the MadgeTech ETR101A, to aid in the selection of the appropriate diesel particulate filter.